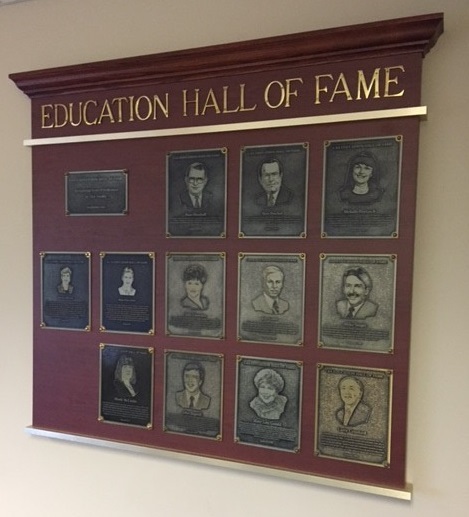 The Greater Charlotte Apartment Association's Education Hall of Fame was inaugurated in 1995. The GCAA Education Hall of Fame was created out of respect for the very considerable and selfless teaching of multi-family rental housing management by so many. The best are recognized in the GCAA Eduation Hall of Fame. Since the inception, GCAA has had 12 Hall inductees; the most recent being in 2012. If you are in the Charlotte area, stop by the GCAA office to see the inductees in the GCAA Education Hall of Fame. Longtime industry leader who was Co-dean and member of CAA's first CAM facutly in 1980. He is the first representative of this region on NAA's National Apartment Management Accreditation Board and was an NAAMAB test proctor for many years. Additionally, Russ Marshall came from the Dallas (TX) Apartment Association and founded or helped found North Carolina Apartment Associations in Charlotte, Fayetteville, Greensboro, and Raleigh. Helped hundreds of GCAA members evolve and grow professionally as a tireless and selfless advocate for industry education. One of the most prolific faculty members in GCAA history, continuously teaching NAAEI Professional Designation Courses for 15 years and counting. Was a leader in the development of the innovative GCAA Education Foundation, serving as its first president from 2003 - 2010. Was named the National Apartment Association's Professional Designate of the Year in 2006. Recognized and admired by many for her passion, relevance, good humor, and common sense. North Carolina's first-Certified Apartment Manager in 1980; went on to help organize and teach CAM, CAMT, and CAPS programs throughout the Carolinas, teaching over 1000 students; an Examiner for the National Apartment Management Accreditation Board since 1985; chaired the National Education Committee in 1986; a founding member of the National Education Foundation. In addition to the Education Hall of Fame, GCAA also awards the Lifetime Achievement Award. GCAA Executive Director, Ken Szymanski shared, "we are very honored and proud of our leaders throughout the years. They saw the Association as a form of "enlightened self-interest" - helping the industry while helping their business and themselves."